If you have ever bought furniture kits from stores like IKEA, Lowe's, Home Depot, or JYSK, for example, you already know how difficult and time consuming assembly can be. If you need help, look no further. 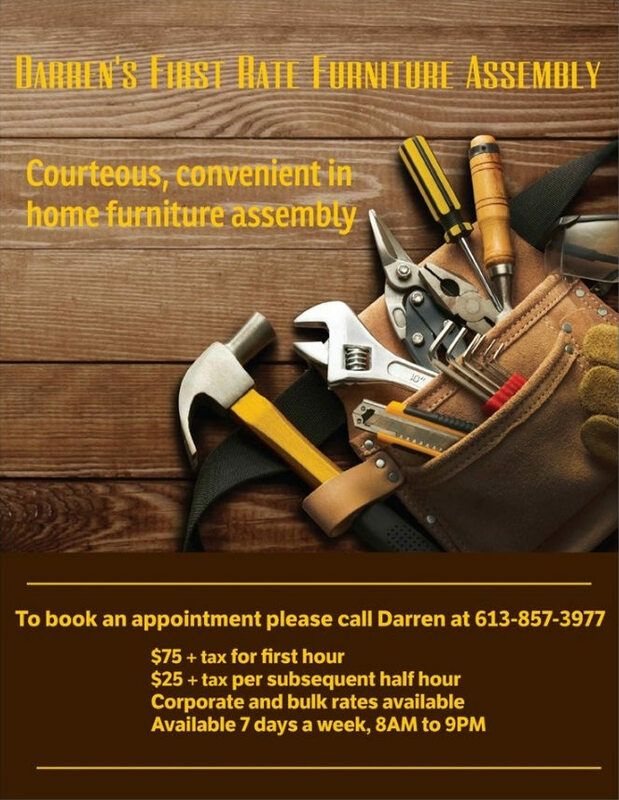 My name is Darren Benning and I can assemble your furniture in your own home. I always inspect it first to ensure there are no damaged or missing parts. My rates are $75 for the first hour, and $25 for every subsequent half hour. Bulk and corporate discounts are available. I can also disassemble then reassemble furniture you would like moved, and can perform minor repairs. My goal is to give you the best customer service possible. I take cash, cheque and credit card and I provide you with a receipt.